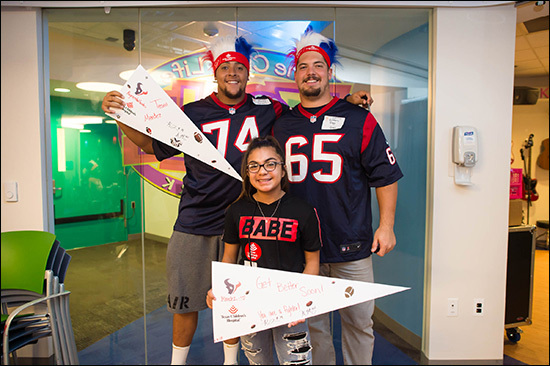 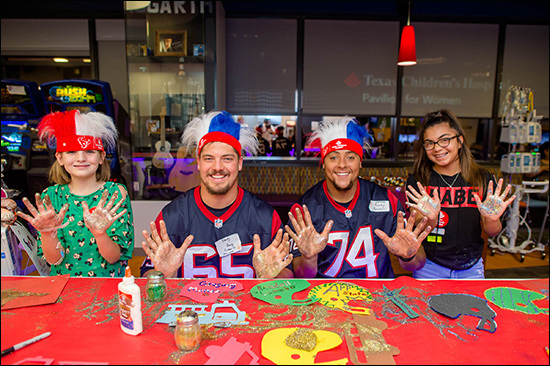 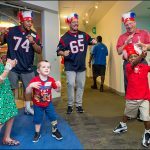 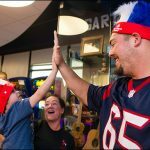 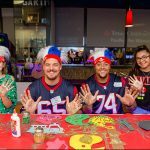 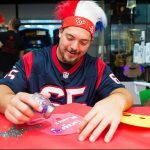 This week’s Radio Lollipop broadcast was extra special as Houston Texans offensive tackle Kendall Lamm, center Greg Mancz and Texans Analyst John Harris joined in on the fun! 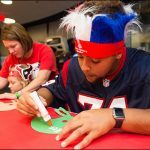 They played games with patients and their families, decorated football helmets, danced to patient-requested songs and spent time in the Kids Own Studio answering questions from patients and families. 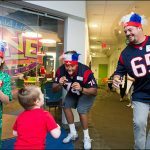 Radio Lollipop is a fully-equipped, on-site radio station at Texas Children’s that broadcasts to patients’ rooms via the hospital’s television system. 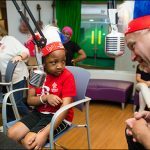 It is a volunteer-driven program that involves children in play and activities, using the sounds of radio to help stimulate the children’s imagination. 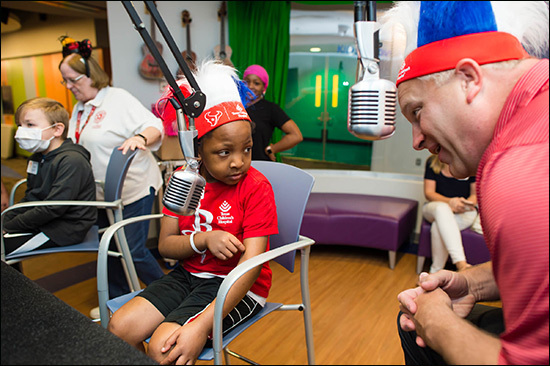 Volunteer deejays create excitement among patients by playing Top 40 hits, taking call-in requests and putting kids “on-air” to actively participate in the magic of radio. 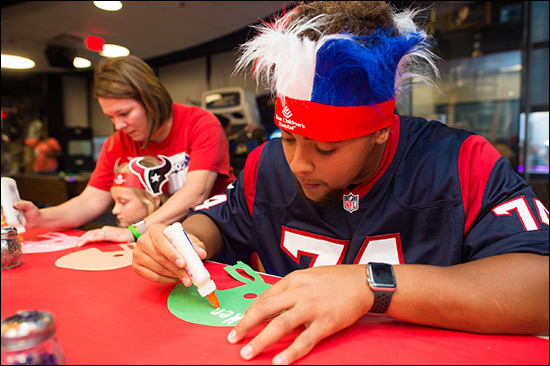 Each on-air broadcast also features games, art projects, storytelling and contests in which kids win prizes. 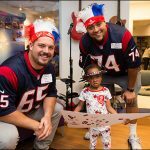 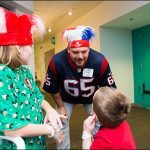 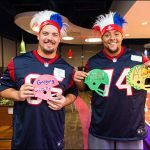 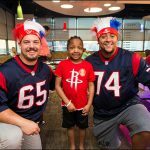 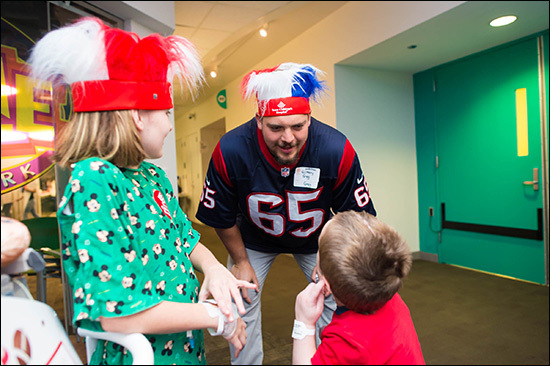 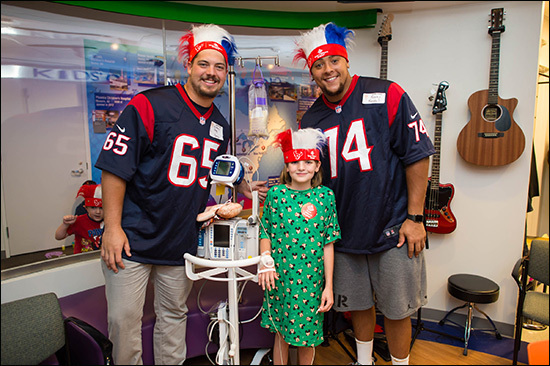 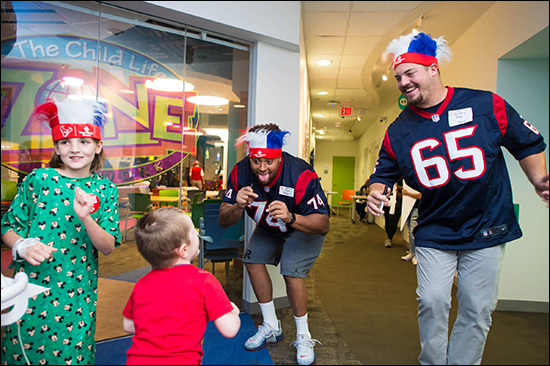 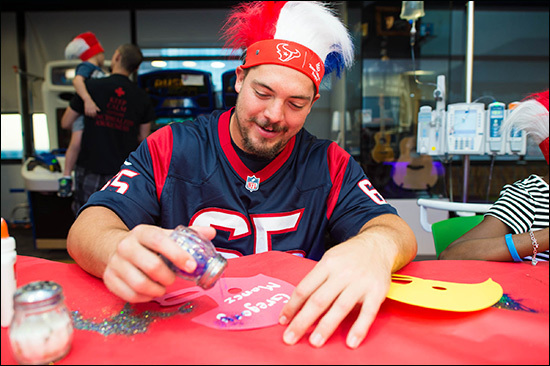 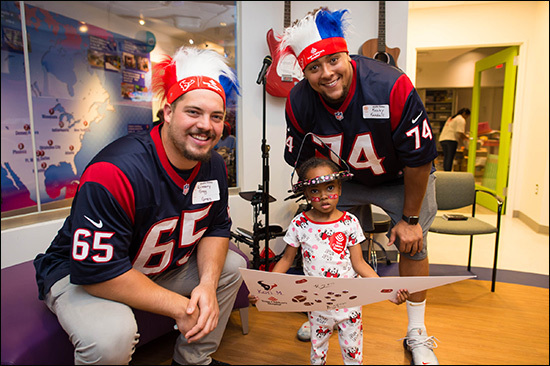 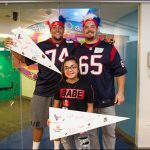 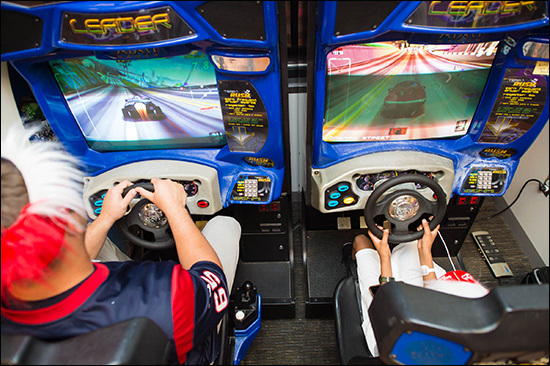 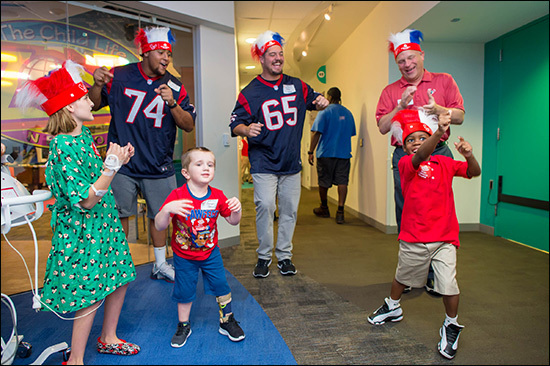 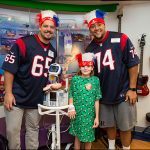 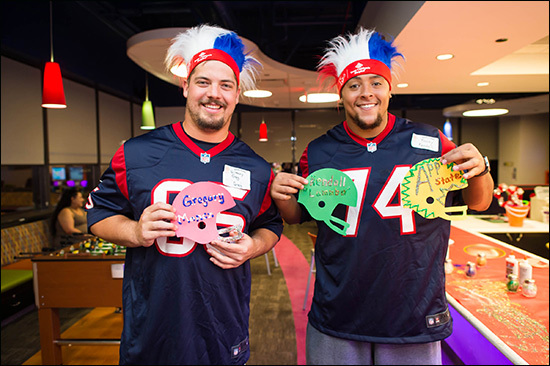 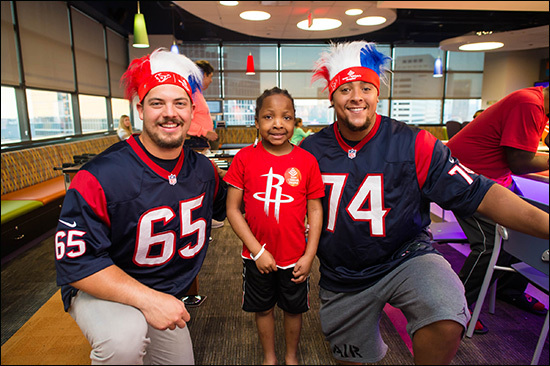 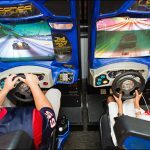 Texas Children’s is the Official Children’s Hospital of the Houston Texans. 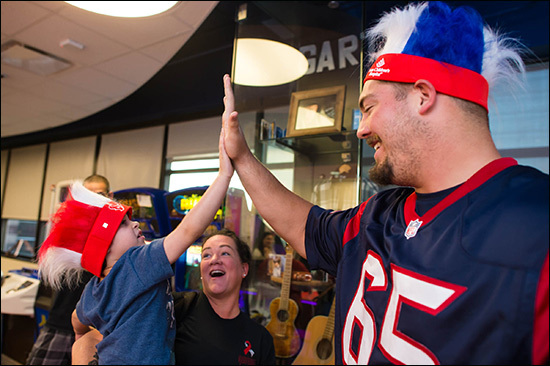 To learn more visit texaschildrens.org/texans.